Zip Up Aspire Hoodie. 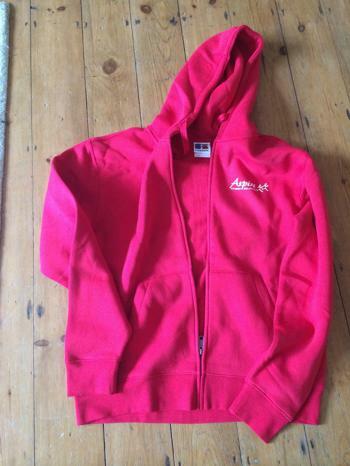 Just like the original hoodies that we all love - but with a zip! Wonderful for keeping warm before and after a run, or on your way to and from class. All clothing is made to order and can take a couple of weeks to arrive so please speak to us if you need it urgently. Please note that any additional writing may incur an extra charge.